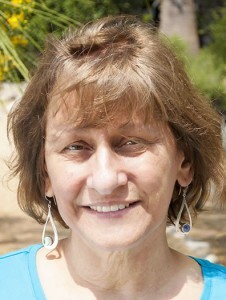 Claremont, Calif. (May 23, 2014)—Pitzer College Professor of Spanish Ethel Jorge has been named Outstanding Teacher of the Year by the American Association of Teachers of Spanish and Portuguese (AATSP). The AATSP Outstanding Teacher of the Year Award for college-level educators is given to exceptional teachers of Spanish or Portuguese who have been members of AATSP for at least five consecutive years. After joining Pitzer’s faculty in 1999, Jorge created the Community-based Spanish Practicum and then later developed a more comprehensive Integrative Spanish Program that links foreign language teaching to student engagement with multilingual and multicultural communities in the US and abroad. She has increased connections with other academic disciplines on campus and in the College’s study abroad programs in Spanish-speaking countries. She also created and taught several innovative courses, such as Latin American Cultural Diaspora, Spanish in the Community: Children of Immigration and Los Angeles: the City and Its People. Jorge’s research focuses on community-engaged language pedagogy, interdisciplinary transnational language and culture connections, and popular culture in the Spanish-speaking world. She has been an associate editor of AATSP’s journal Hispania since 2009, and has published numerous articles about service-learning and community-engaged language teaching, including “Where’s the Community?” in Hispania (2010) and “Outcomes for Community Partners in an Unmediated Service-Learning Program” in the Michigan Journal of Community Service Learning (2003). In 2013 she was the co-editor with Josef Hellebrandt of a special issue of Hispania titled The Scholarship of Community Engagement: Advancing Partnerships in Spanish and Portuguese. She has also produced documentary films about Uruguayan culture and society. A native of Uruguay, Jorge previously taught at the University of Alaska Fairbanks and earned her PhD in Latin American Cultural Studies at the Union Institute & University in Cincinnati, Ohio. AATSP’s Outstanding Teacher of the Year Awards will be presented during the association’s conference in Panama City, Panama, on July 10, 2014. The American Association of Teachers of Spanish and Portuguese promotes the study and teaching of the Spanish and Portuguese languages and their corresponding Hispanic, Luso-Brazilian and other related literatures and cultures at all levels of education. The AATSP encourages, supports and directs programs and research projects involving the exchange of pedagogical and scholarly information. The association seeks to help develop a better and deeper understanding between the US and the Spanish-and Portuguese-speaking nations of the world.